Your telescope will always be properly and precisely aligned with the use of the saxon 1.25" Cheshire collimator eyepiece! 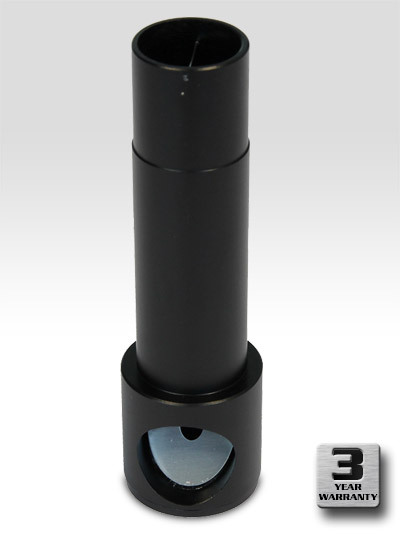 The Cheshire collimator eyepiece has a peephole opening on one end of the tube and thin crosshairs at the opposing end. Alignment is easy as the 45 degree internal surface projects light into optical path to facilitate primary mirror alignment. To start aligning your optics, simply insert the Cheshire collimator eyepiece in the focuser and follow the alignment instructions.